Upon the death of her scholar father, Damaris Gordon is left with two choices, marriage to her dull but respectable cousin Randall, and seeking paid employment. Hired as his secretary by Gavin Hamilton, the mysterious, hideously scarred Master of Blacktower, she travels to Scotland to reorganize his library. Of course, danger and romance await. 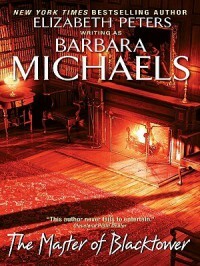 Pretty standard Gothic fare, but enjoyable as Barbara Michaels' books always are. I believe this was one of her first novels, and she does a creditable job, despite obvious echoes of classics such as Jane Eyre and The Secret Garden.